Sweater, jeans, boots. 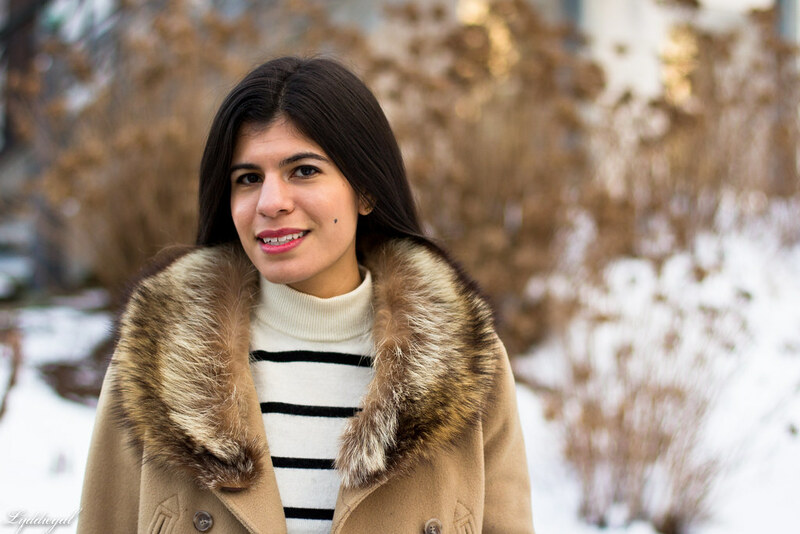 It may not be the most creative winter look, but my fashion evolution is about refinement; wearing what makes me feel polished and put together. 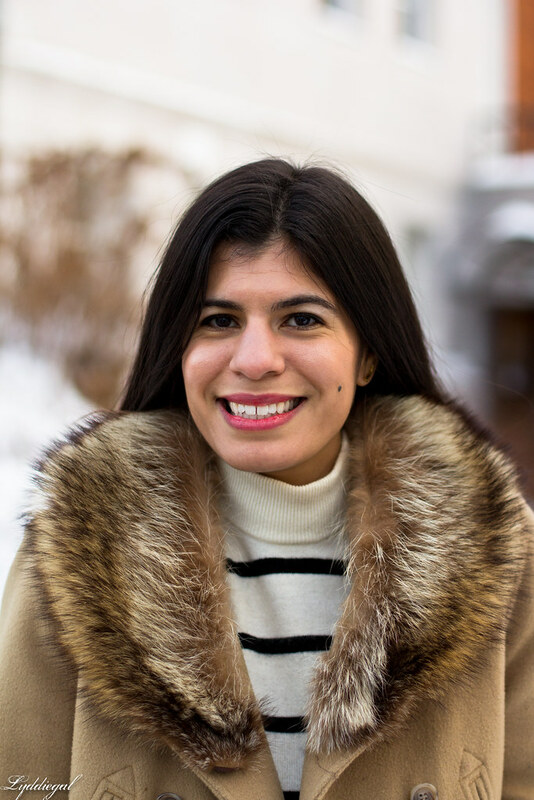 Looking back on past winters there were plenty of missteps involving brightly colored tights, trying to layer summer dresses, giant scarfs on my head, and short sleeve sweaters. Even at the risk of being redundant, I'd rather stick to what works than don mustard yellow tights again (and let me tell you, I loved those at the time). I did the whole mustard yellow tights thing too, ha! Now I know better. Love the fur collar with this look! HAHA! I know what you mean. When I was trying to be cool I did some weird stuff. Now I don't really care if my outfits are "boring"
Oh, don't get me started on the misadventures that come with wearing coloured tights. I will credit myself with the smallest bit of taste by saying that by the second time I saw myself wearing them in a picture, I knew they weren't for me - but that just meant I had about ten pairs I had bought enthusiastically to get rid of :P These days, like you, I'm much more interested in sticking with what works, and when it comes to what works for you, I can't think of a more perfect outfit - a fabulous coat, great jeans, boots and that beautiful red bag. This look sums up the essence of your style for me and I love it. When I look back at some of my outfits, I'm like "what was I thinking?!" lol. But I feel like if you know you loved it at the time, that's all that matters :) But like you, I'm more into simple, put together outfits. I really love the outfit you have on today! Bold or wild colors in winter aren't everyone's thing. I love mustard yellow. Even mustard yellow tights. I have a pair of cobalt blue tights that I love. Even as much as the weather fluctuates where I live, I do give up on my summer dresses in winter though. It just doesn't work for me. Sticking with what works is worth it. A good winter uniform is a must as far as I'm concerned. Sure, it may not be all that creative but it gets you through! Yeah I tried mustard tights once then someone said I looked like Big Bird. Never again. Love this classic winter look though! That's a good winter uniform. Sometimes I still do colored tights but my normal winter look is very similar to this. Oh my god tights and me do NOT get along if they are in ANY other color than black. PERIOD! perfect winter look! I love that coat! That coat with the fur collar couldn't be more perfect. I love it with the stripes! Mission accomplished: polished and put together ! Still so jealous of this coat! It's so perfect. I used to have these dark pink tights... yeah those were not the best style choice. Ha! 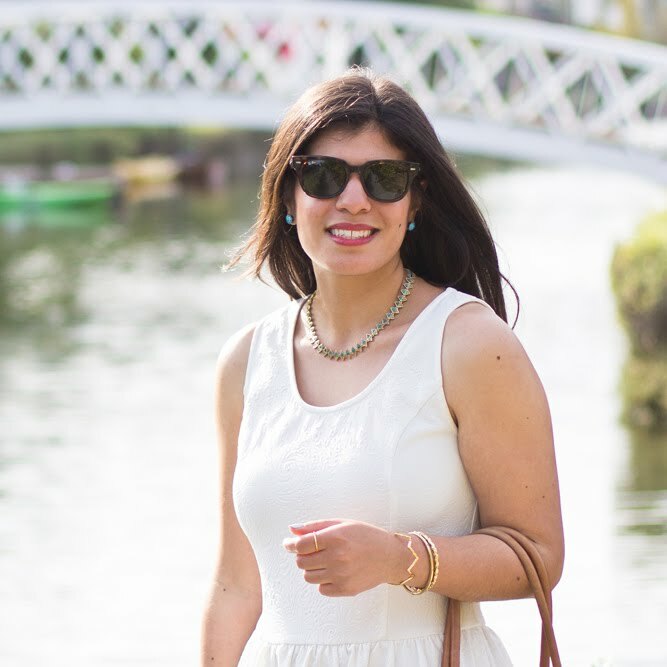 That's both the good and the bad thing about blogging for so long... you can't hide the fashion experiments you tried. There are a few looks that I go back and wonder what I was thinking when I wore them! I do think it's good to take risks but at the end of the day I always come back to the classics too--love this gorgeous, polished look. We all have our fashion mistakes haha. 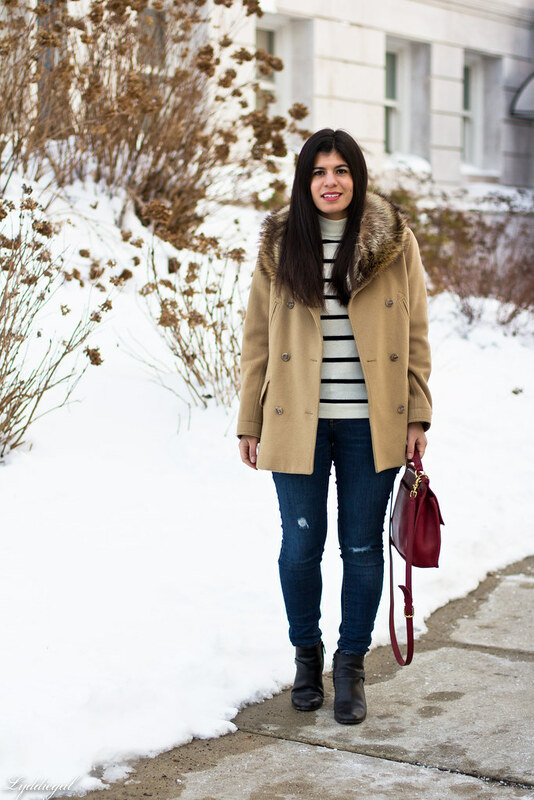 Love this coat, it looks perfect with stripes! Such a classic look, I love this combo. You are SO good at the perfect winter uniform! So true! I definitely went crazy with the tights/layering in my younger days as well. Classic is best! Love that outfit. Love the rings and coat. 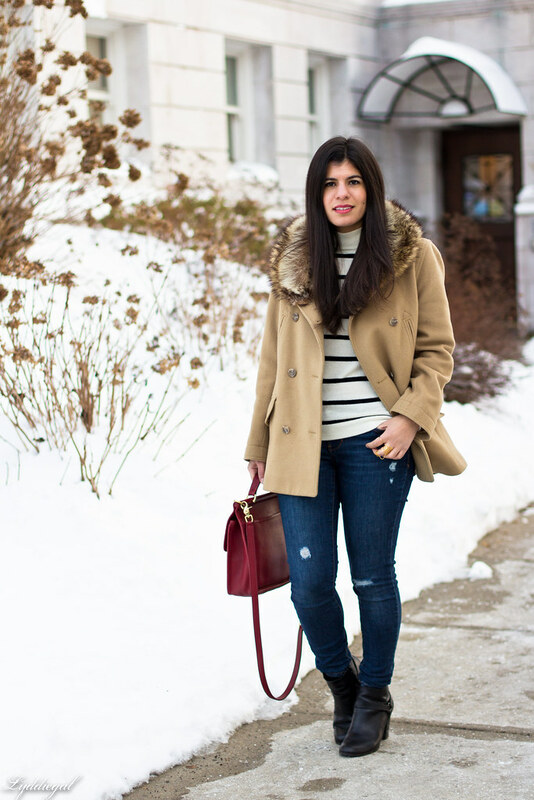 Such a cute casual winter outfit! Really love the red Coach bag, that one is so iconic I recognized it immediately! Gorgeous outfit! the fur collar is fantastic. I want to steal this idea cause I have been looking for a fur collared coat but can't find one that I love. Beautiful look Lydia as always, love your coat! This is my winter uniform too. It's amazing how much you can change it up between OTK boots, short boots, regular denim, black denim, color coats, etc. I am loving your fur collar! I have had my share of fashion missteps for Winter. Some girls make fun colored tights and Summer clothes look effortless even in the middle of Winter. Though I think every now and then colored tights are cute and can be so stylish, I am all about practical comfort. 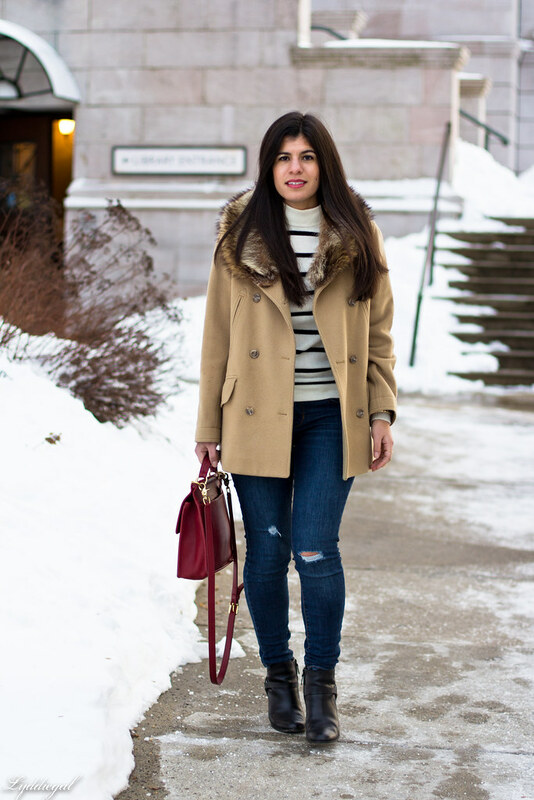 Jeans, boots, a sweater and a great coat are my uniform too and if you have seen my outfits this Winter, I have done that a lot or a puffer vest instead of a coat. 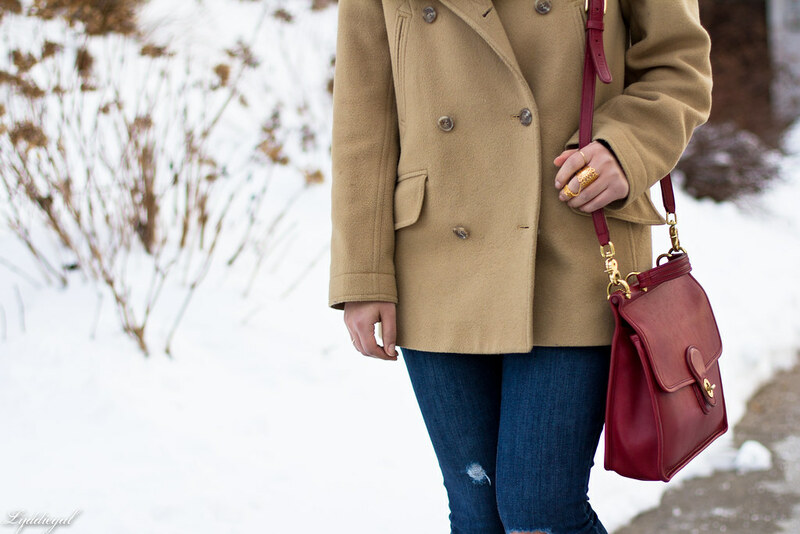 Your classic camel coat paired with the fur collar and the striped sweater are so classic and polished. A perfect match together.